Last week I updated the infographics of the spanish crowdsourcing platforms. The fact is that over 50% of these platforms are crowdfunding platforms (30 of 52), which shows that the crowdfunding is proliferating, extending, is the new “buzzword”… but does this mean that it works? The answer is: not at all. At least not in all cases. After seeing the evolution of crowdsourcing platforms in general, and for this post, the crowfunding ones in particular, three clear conclusions can be drawn. Most crowfunding platforms have been created in the last two years, although there are some that are older. Of these, there are already some who have fallen, as in the case of Fandyu. And we must not be deceived by the number of platforms: many are not working well. Of these, there are some which have spent several months with almost no activity and some do not have very good looking. Many of these surely will accompany Fandyu shortly. And when I say they are not working well, I mean they are not finding host nor in the crowd, who has to provide money, nor the crowdsourcers, who should propose projects. A crowdfunding platform works well when, through it, a decent number of projects are financed (not just one or two) in a more or less stable period of time. It should have a minimum of 25 to 30 active projects at any given time (a acceptable projects offer): some projects with no contributions and about to finalize its financing term, other projects partly financed and a few projects close to being fully funded. The numbers are approximate. What must exist is a dynamism within the platform: new projects, some funded successfully, some not. 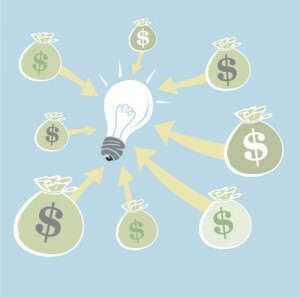 Furthermore, it is normal to find many projects not funded: is also a trend that is changing. Just look at the infographic I referenced in the post about the role of community manager in crowdsourcing initiatives: in 2011, 56% of the proposed projects by Kickstarter, a well known crowdfunding platform, failed (did not reach the requested budget). Then there are those platforms that work and enjoy an enviable health, as Verkami, Goteo, Lánzanos or Sociosinversores, for example. Second, a tendency change can be seen. While the first crowdfunding platforms were generalist (focused in any type of project, specially in cultural projects – discs, magazines, books …), the actual emerging platforms are usually centered on specific areas: libros.com in book publishing, montatuconcierto.com in organizing band concerts by demand, Yuujoo for eLearning projects, Vorticex for research projects, CreaRock for bands or Kifund for movies, among many others. A specialization that is gaining much importance, especially because of the current economic crisis and the denial of credit by banks, is focused on crowdfunding companies or start-ups. Platforms like SociosInversores, The Crowd Angel, InversorE, Megafounder, Inverem, Partizipa, Inproxect or Mynbest, become intermediaries to try contacting companies (news or existing with needs of funding) and investors (of small, medium or large amounts of money). On these platforms, the rewards to the crowd usually consist of shares or profits of the company that is financed, although this always depends on crowdsourcer. And every one should learn. On one hand the crowd. In Spain, the issue of e-commerce, people shopping online, is improving quarter over quarter. The crowdfunding goes a step further, so again we have to break barriers, prejudices, fears, etc..
On the other hand, the crowdsourcers. They must learn to present their projects properly, how to defend them, how much money ask, how to ask for it, how to disseminate the project … in this sense, one spanish crowdfunding platforms stands on the others: Projeggt. This platform offers what they call a crowdagency: a group of people who advise crowdsourcers in planning and developing their crowdfunding initiatives. It is a good starting point. Next Post:Crowdsourcing initiative by my own or using an existing crowdsourcing platform? Creo que es una forma de salir de la crisis actual también. Can anyone suggest a really good Spanish top rate funding site? ¿Conoce usted una buena compania de crowdfunding en Español – España, México, America Latina, Brazil? We are about to launch a campagn for an innovative really new type of comfort pillow, already guaranteed a US patent on its FIRST Patent Office ofice action. On might ask, "What can you possibly do to a pillow?" well, you will soon see what can be done. This new pillow is multi temperature and has over 30 practical comfort and therapy uses. We want to also launch it in Spanish, with a completey different kind of presentation including fascinating Gif and Uses photos. (we have selected a top English crowdfunding site for our English presentation). We are are completely bilingual and also want to target Spain and all of Latin America including Brazilian distribution for our product..